A standby generator is a back-up electrical system that operates automatically. Within seconds of a utility outage an automatic transfer switch senses the power loss, commands the generator to start and then transfers the electrical load to the generator. 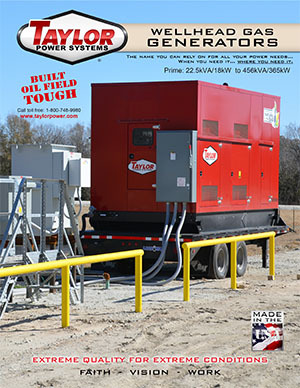 Taylor Power Systems offers a full line of standby generators ranging from 9kW to 2000kW using a diesel engine and a line of generators from 30 to 425kW using Natural Gas or LP engine. Taylor offers additional configurations including open units, weather enclosed, and sound attenuated models with a wide variety of optional equipment.